I am obsessed with interiors and I love seeing the homes of others and how they live, whether in person or via images. I would draw home plans and create miniature interiors growing up, and have always loved to hunt for vintage home goods so it has sort of evolved to this! I’m inspired by architecture, nature, light, movies, books, conversation, learning new things. I’ve gotten more into meditation lately and this has really changed how I'm inspired. I guess it somehow clears my mind from everyday noise and negativity and makes space for bigger ideas and thoughts to come through. I live in Los Angeles, CA in the Silverlake area. I live next to the reservoir where I love to run and people/dog watch! Attalie Dexter Home + Accessories is a way to make a space your own. Modern organic shapes and layers. I started my line in 2009 with one-of-a-kind jewelry formed with reclaimed materials and it has evolved to limited edition collections and home accessories. 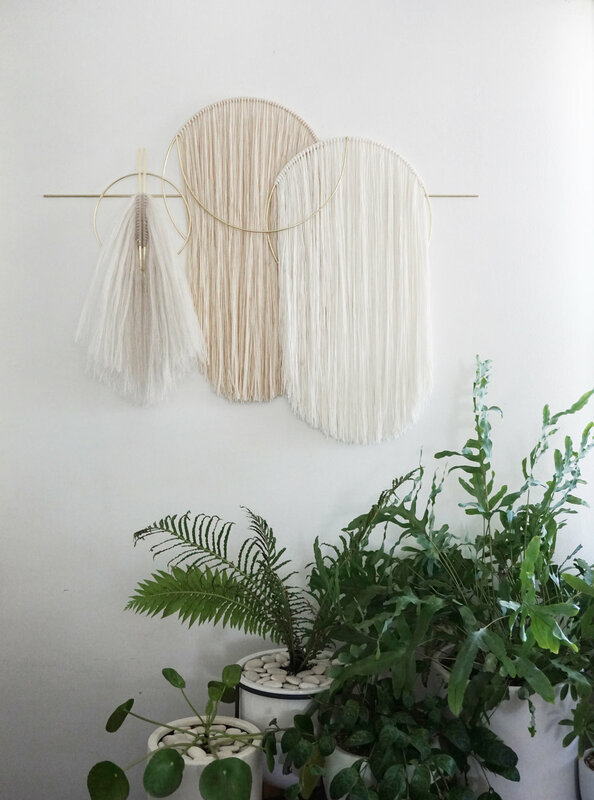 I started making the brass and fiber wall art a couple years later for myself and friends and those are my current focus. I completely understand wanting to get a few pieces from larger stores, but it’s also a great idea to step away from using excessive amounts of mass produced items in your home. Not only does it support the environment by creating less waste, you support the economy in a more impactful way and your home is so much more personal and truly unique. Really hard to choose, but I love making really large-scale pieces and also the mobiles. The largest piece I’ve completed so far is 24 feet long for BaseCoat Salon, a female owned and non toxic nail salon. Each piece is individually made to prevent waste. Many designs incorporate deadstock or recycled materials. 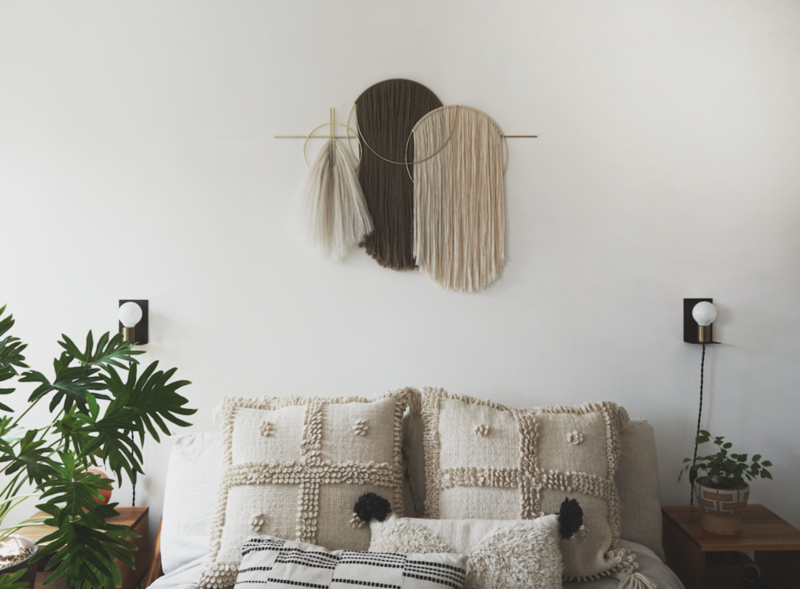 For example, one of the more popular pieces, the oversized wall hanging, is partially made with recycled cashmere from clothing that would otherwise end up thrown away in landfills. Almost all of my supplies are thoughtfully sourced from female owned and small businesses. Also if a source is local, this is even better!